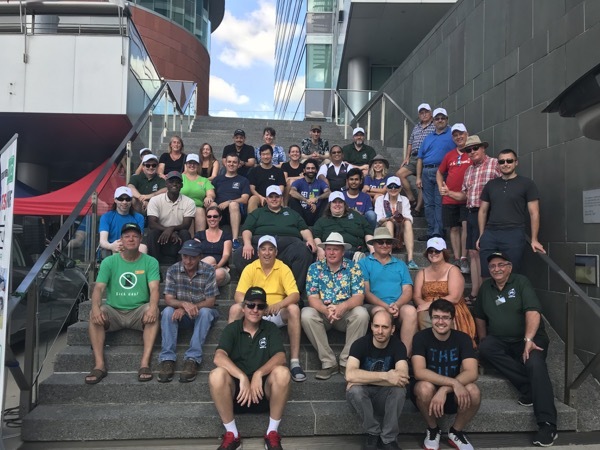 This is our fourth year hosting an event in Waterloo Region, we had record breaking number of EVs register (over 100) and a record amount of people register (over 270). We had sustainable vendors, solar hot dogs, a photo booth and kids games. The great weather helped as well. See you next year! Here is the group of volunteers that helped make our NDEW Kitchener Event a success! 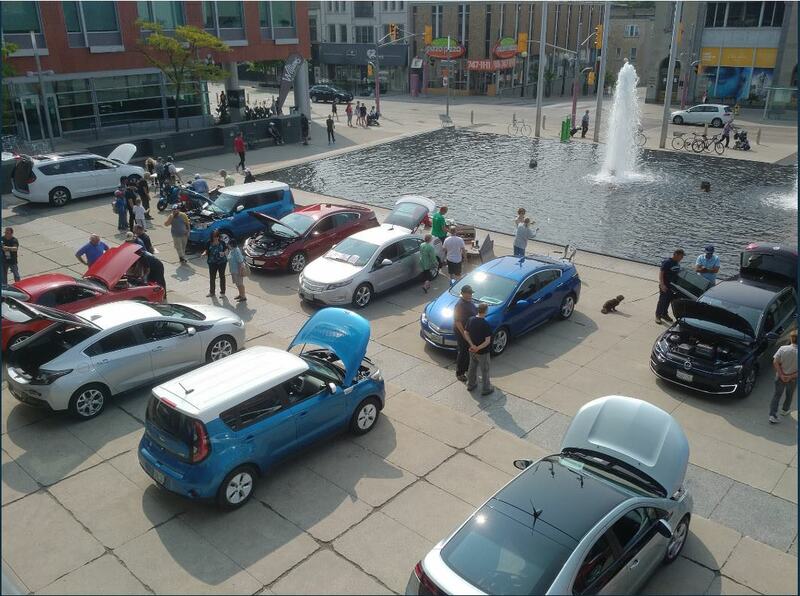 The Waterloo Region Electric Vehicle Association (@WREVAG) and Charge Waterloo Region (@ChargeWR) proudly present a National Drive Electric Week 2018 Event! General Public welcome! We also encourage EV Owners to bring non EV owners so they may test drive the latest EV's available. Your questions about current EV models, purchase/operating costs, provincial rebates/incentives and local/provincial charging infrastructure within the Waterloo Region and beyond can be answered at NDEW 2018 Kitchener. Many static displays of electric vehicles will be on hand for all to see. Registered attendees report 1,499,782 electric miles driven.